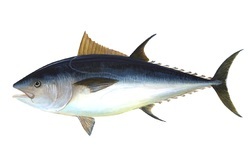 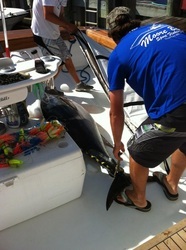 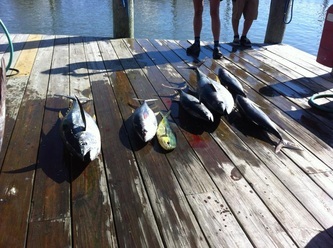 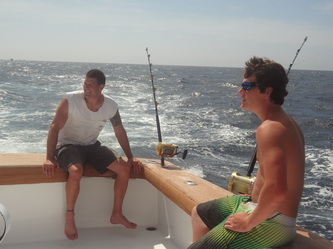 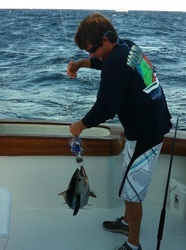 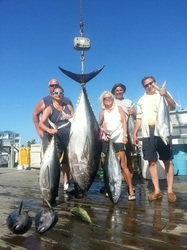 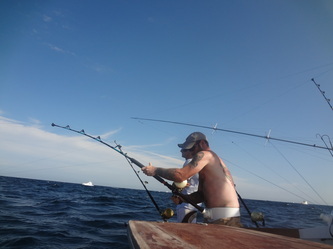 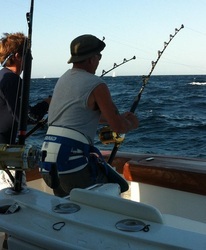 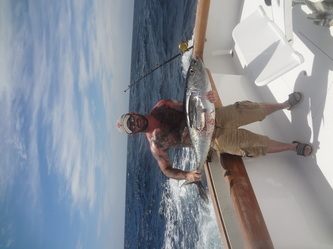 July 8: 9 yellowfin tuna and 2 mahi in the washington canyon today. 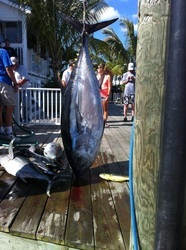 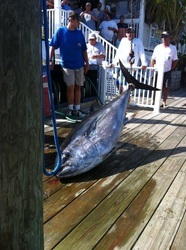 247lb bigeye today!!! 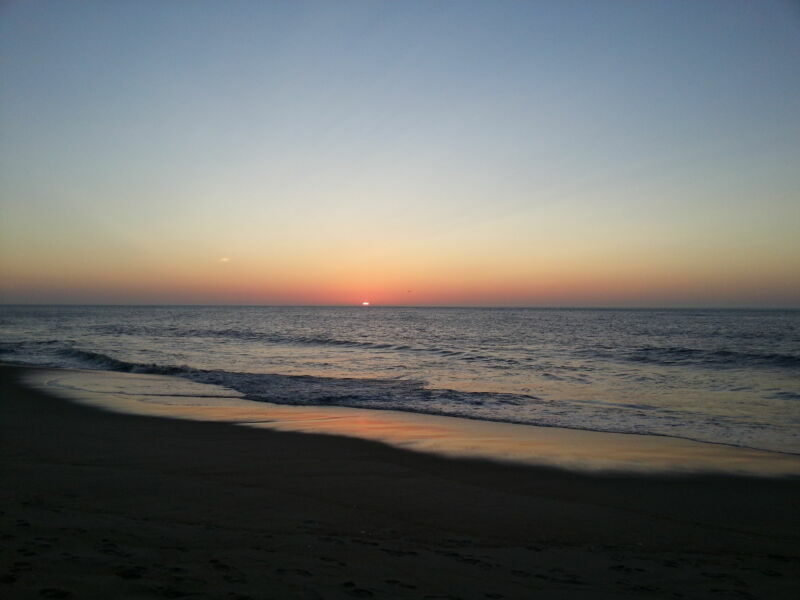 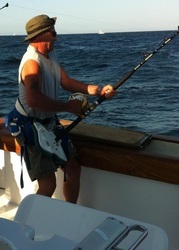 Also 6 yellowfins and a mahi. 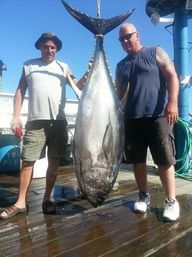 July 7: Jimmy Jersey, laura Schlimgen, Randy Brown, Donna Dengler, Will Dengler from Pittsburg, Pa. Randy And will tag teamed this 247lb bigeye that was hooked on a skirted ballyhoo in the Washington canyon. 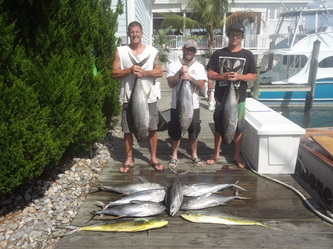 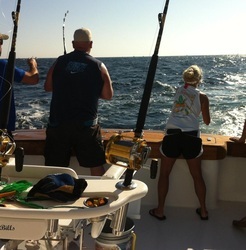 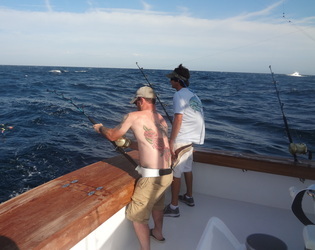 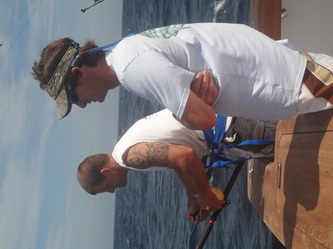 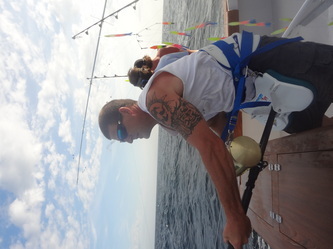 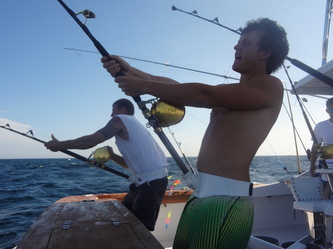 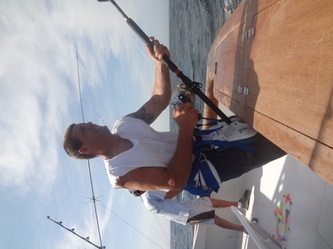 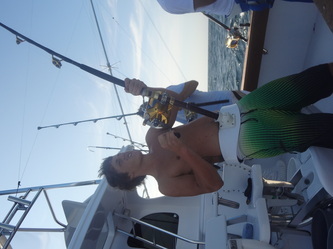 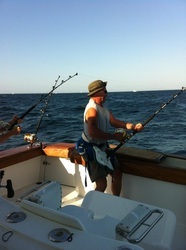 The crew also caught 6 yellowfin tuna and a mahi. 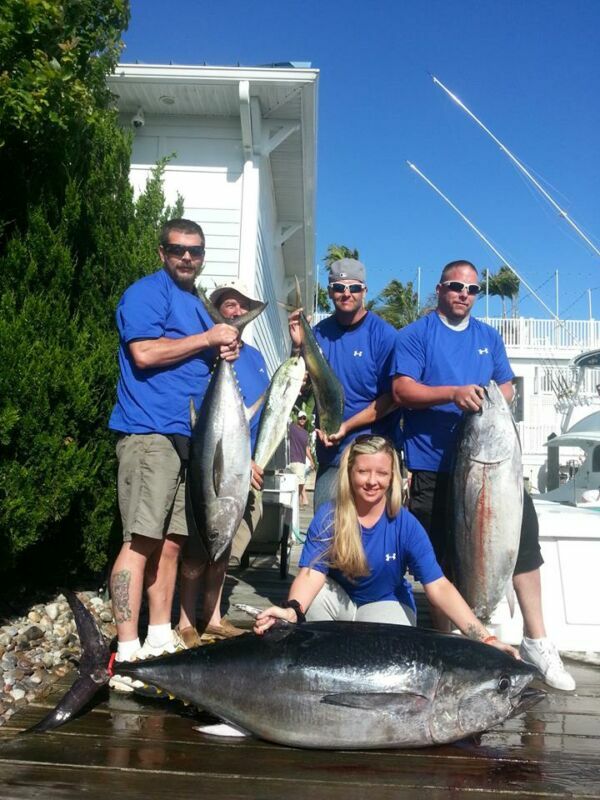 July 6: Ricky Baker, kimmie Yurek, Robert Halterman, George Murray, and Rich Barsolt. 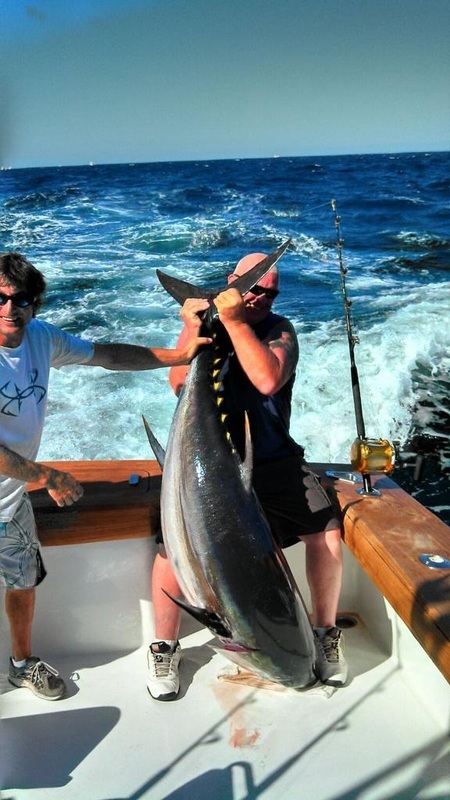 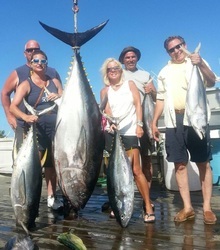 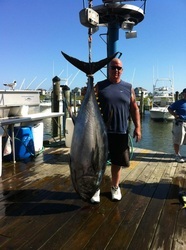 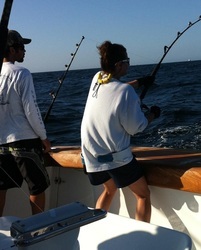 Kimmie with a 158lb bluefin tuna caught on a skirted ballyhoo north of the dog. 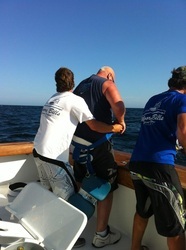 Also caught our under, 30lb yellowfin, 2 mahi, and released 4 other bluefins well over 100lbs. 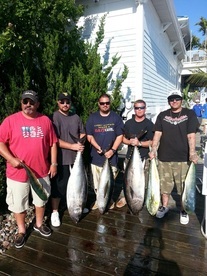 Thursday July 4th: Steve, Chuck, Brian, Eric Poole and Billy Gray all caught bluefins today along with a yellowfin and 3 dolphin. 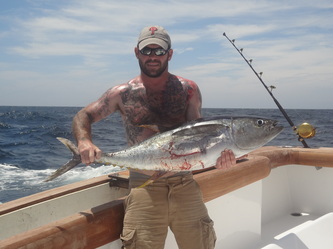 Trolling bars and ballyhoo at the dog and poormans canyon.